Spring is the season when we feel the urge to spend time outside amidst the blooming nature; what better place to do that than a garden? 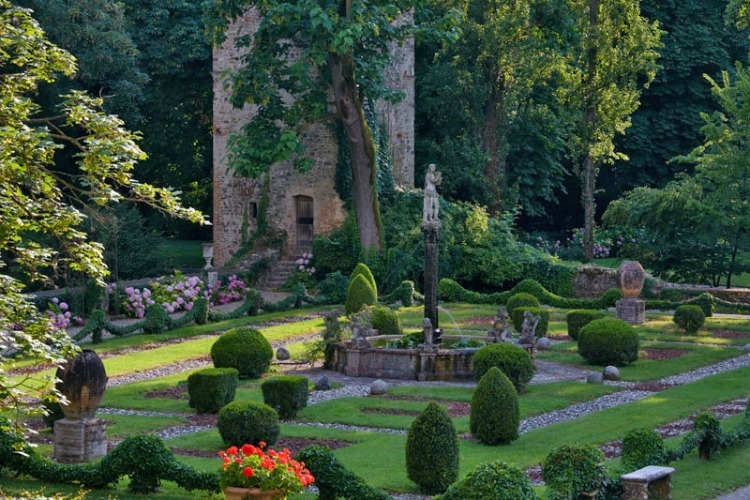 Just like throughout Italy, Emilia-Romagna boasts many beautiful gardens. 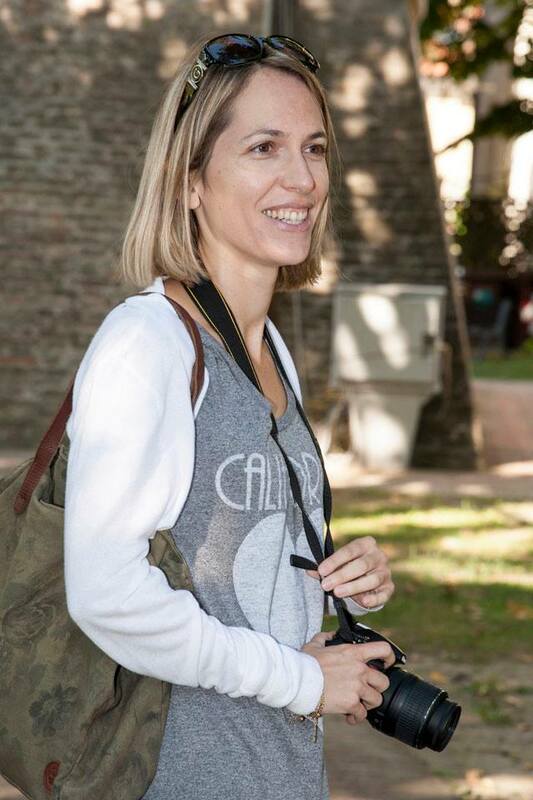 The three I selected are part of Grandi Giardini Italiani, a network of more than 100 gardens to be found throughout Italy, attesting to the rich history of Italian garden art and landscaping. 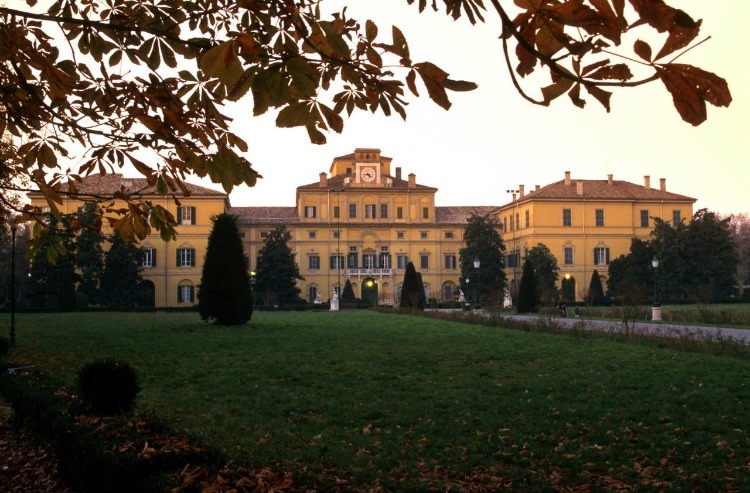 The 150,000-square-meter garden inside the Grazzano Visconti Castle was created around the beginning of the 20th century by the Duke Giuseppe Visconti di Modrone (the father of film director Luchino Visconti, who spent time there as a child). The garden combines elements of the giardino all’Italiana (Italian-style garden), namely its symmetry created by the linear avenues located opposite the main entrance to the castle, with a romantic atmosphere, attained through twisting paths leading to wooded areas, creating a nice effect of light and shade, which invites strolling around. Throughout the gardens, you are accompanied by the soothing sound of water from the small Rio Grazzano creek, while you admire the fountains, statues, and small bridges. Beyond an arched passageway is the “children’s house”, resembling a labyrinth, which the Duke had built for his daughters (the Duke had seven children). The park features many evergreens, including cypress, pine, holm-oak and yew trees, as well as myrtle and box bushes. There are also a few specimens of trees older than 100 years. Among the flowers are brightly colored roses and hydrangea plants. Plan your visit: The Grazzano Visconti gardens can be visited on Saturdays, Sundays and holidays by guided tours only. The castle is privately owned and therefore cannot be visited. The gardens are open from March 17 to June 30 and from August 10 to November 17. For more information, click here. Conceived by Ottavio Farnese, Duke of Parma and Piacenza, as a place for entertaining his court, Giardino Ducale was created in the 16th century and is part of the complex of Parma’s Palazzo Ducale, a true architectural jewel. A short walk from the city center, on the west side of the Parma river (torrente Parma), it is a place for quiet in the midst of the city. Displaying strict geometric patterns inspired by the French style, the gardens owe their present-day aspect to Philip II of Bourbon, who, in the 18th century, commissioned French architect Ennemond Alexandre Petitot to rework them. The majestic plane-trees were planted in the 19th century, when Marie Louise, Duchess of Parma, lived there; in the center of the park is a fish pond with the fountain of Trianon, which represents the rivers Taro and Parma, dating to 1712. There are 12 more statues in the garden, representing mythological gods and goddesses, and five monumental vases made of white Carrara marble. Deep into one of the several charming little woods is the 18th century ‘Tempietto’ (little temple), built to resemble a ruin, where Arcadian shows were staged. The park has been recently restored with new paving of the avenues and the addition of a cycle path connecting its main entrances. Plan your visit: The Giardino Ducale is open every day. Entrance is free. Guided tours are available upon request. For more information, click here. * I can also take you to Parma for a full day tour. Contact me at bolognauncovered@gmail.com. In Tredozio, a tranquil village on the border between Romagna and Tuscany, Palazzo Fantini is an unexpected surprise coming up among woods and winding roads. Built in the 17th century by the wealthy Fantini family, it served both as their residence and as a farm; the stables, cellars, courtyards and granaries have been faithfully restored by the current owner. The Italian style garden is home to several species found in the most important Italian landscape gardens, including holm oaks, horse chestnuts, limes, white poplars, hollies and fine conifers. The colored seasonal flowers, the lawns, water lily pools, beds of old roses, and festoons of bergenias all contribute to the beauty and elegance of this garden. While on the premises, make sure you pay a visit to the Museum of Country Life, which displays traditional agricultural tools. What’s more, you could even spend a night here, at the Torre Fantini B&B. A former vineyard lookout tower recently restored in a lovely country-chic style, it offers panoramic views of the surrounding countryside, especially from the swimming pool. Plan your visit: By appointment, every day of the week from April to October – visit to the garden and the museum of agricultural equipment. For more information, click here. Have you visited any of the gardens described above? 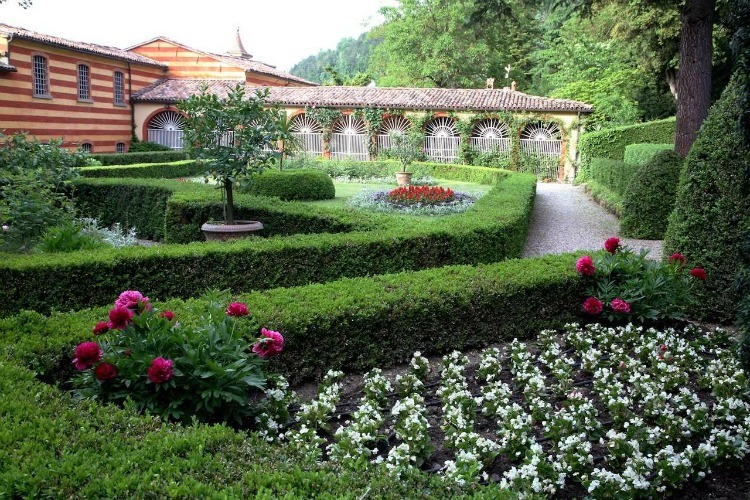 Do you have a favorite garden in Emilia-Romagna you’d like to recommend? Let me know in comments! I would like to go……not too far from Bologna, it could be a nice and interesting ” Gita fuori porta”. Very interesting article. I ignored the existence of these fine gardens. In the next future I will plan a visit! Good, glad I inspired you to go visit them!